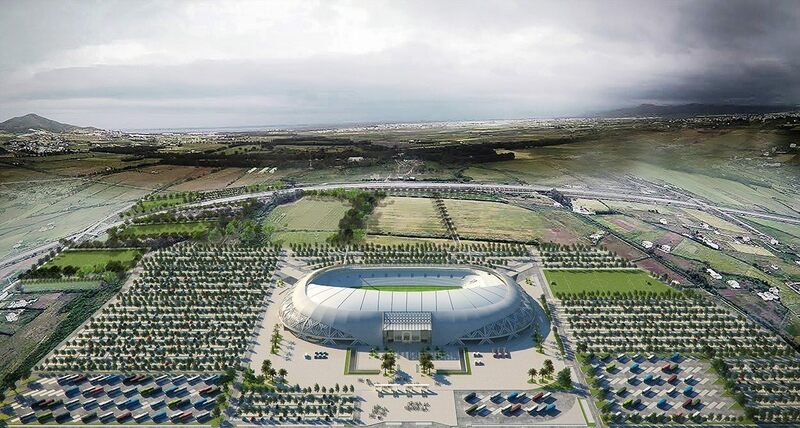 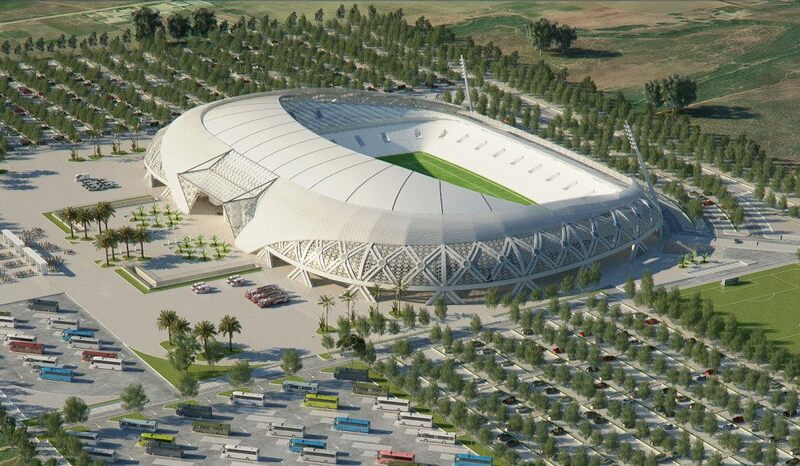 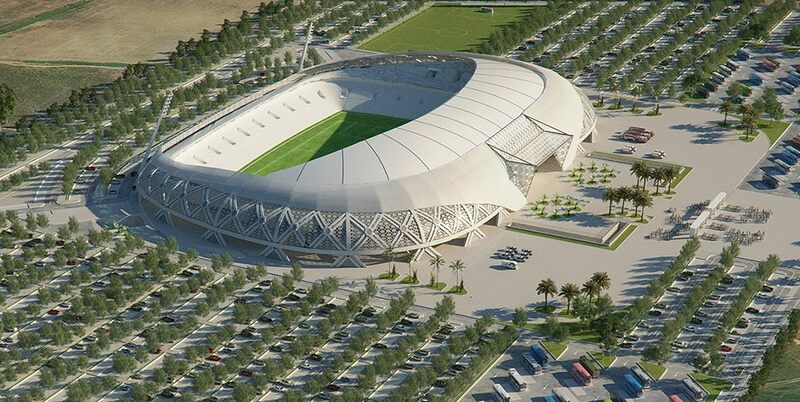 The new stadium in Mediterranean city of Tetouan will be built across 36 hectares north of the residential areas, along newly built A6 highway. 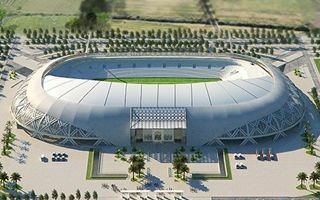 It will occupy former farmlands and become the central sports arena of the agglomeration, replacing severely dated Stade Saniat Rmel. 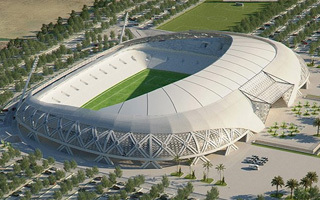 Its simple outer shell is visually light thanks to white and partly perforated elevation. 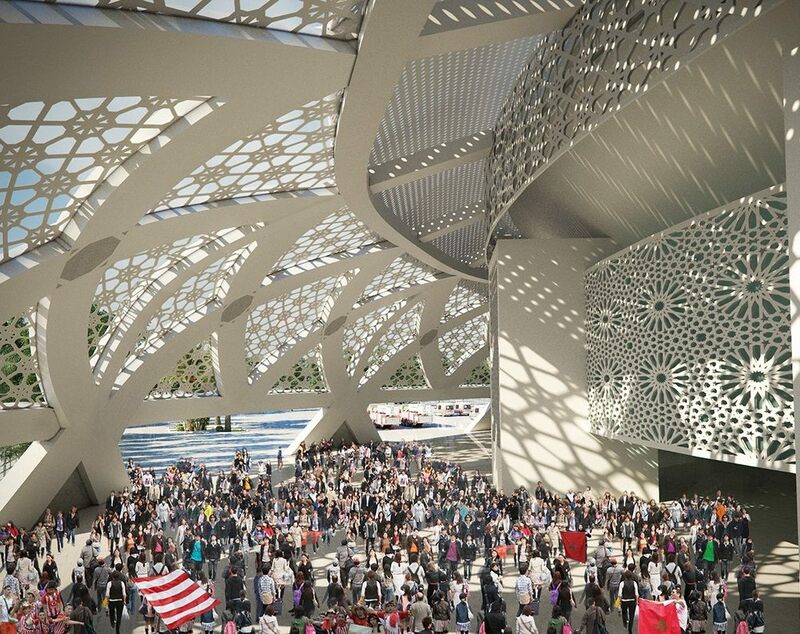 The shape symbolizes a white dove spreading its wings over west, north and south stands. 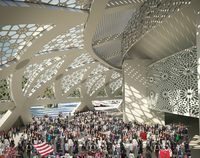 Perforated elements covering the lower parts of its façade are decorative and based on regional craft. 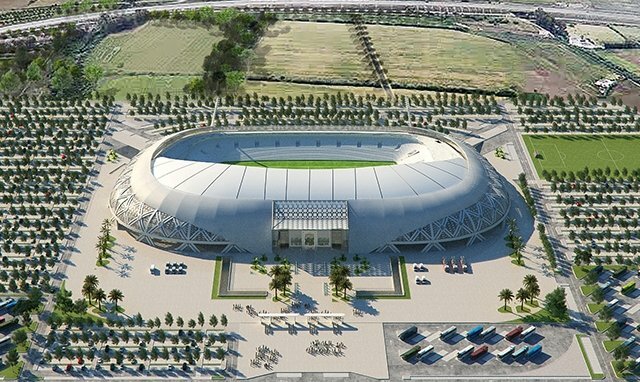 At the same time seating layout with double-tiered west side and lower remaining sides opens the stadium towards the Mediterranean Sea, giving some spectators a very dynamic view that will include local mountains and nearby waters. 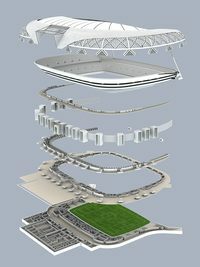 The concept was drawn by young architect Nawfal Bakhat, for whom it’s the first stadium and in fact the first project of this magnitude. 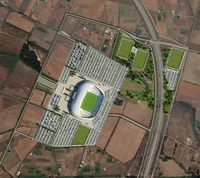 Despite such a challenge, Bakhat managed to beat stiff competition in 2014 and his vision was set for delivery. 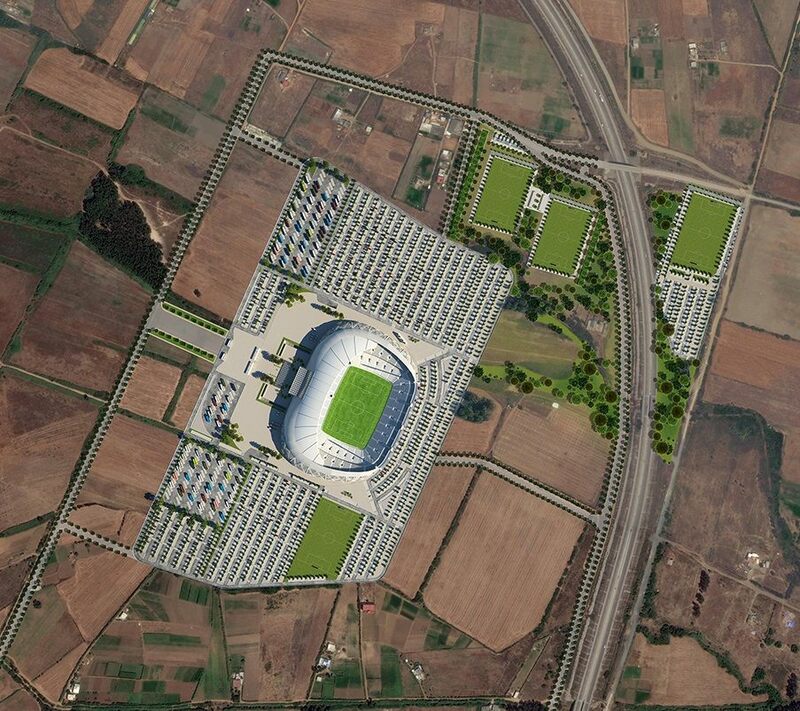 The project’s cost is estimated at MAD 700 million, which stands at roughly $73 million (€64m). 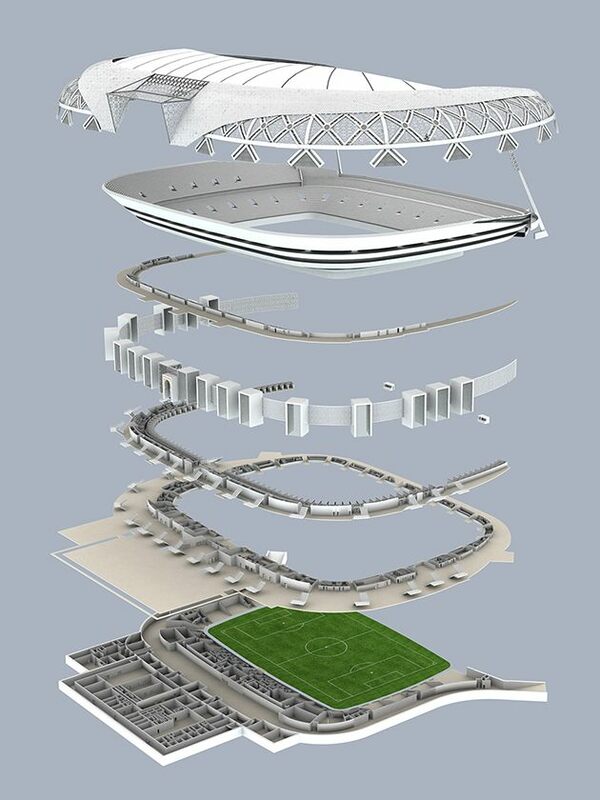 Compared to the 40,400 capacity it represents a modest price, while retaining high standards of accessibility (all stands accessible without staircases and 400 places for the disabled, well above FIFA requirements).